The following are international wine reviews by Wines In Niagara that have already been published in various wine magazines and on-line publications. 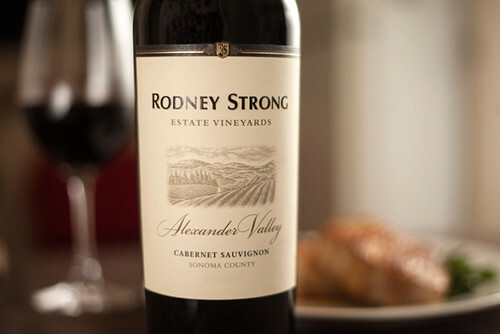 Rodney Strong Estate Cabernet Sauvignon Alexander Valley 2010, Sonoma County, California ($28, 90 points) — Lovely spice notes of nutmeg and cinnamon work well with the cassis, plums, currants and oak barrel accents of spice and creamy vanilla-caramel. It displays the cooler climes of Sonoma with bright acidity on the palate and allows the fine oak and spice to work harmoniously with the basket of red fruits. Great food wine with lamb stew and grilled red meats. Rodney Strong Charlotte’s Home Sauvignon Blanc 2011, Sonoma Country ($15, 88 points) — A nose of fresh grapefruit, kiwi, tropical fruits and hints of grass. It’s lively and fresh on the palate with citrus-grapefruit fruit, summer herbs and a tangy-zesty finish. Robert Mondavi Private Selection Cabernet Sauvignon 2011, Central Coast ($18, 88 points) — Savoury red fruits on the nose with blackberry, spice, game and earth chiming in. It’s inviting on the palate with spiced plums, ripe cherry, good acidity and a silky smooth finish. Ravenswood Old Vine Vintners Blend Zinfandel 2010 ($18, 88 points) — This “unapologetically” big zin has never wavered from the robust, full-throttle style this Cali producer is known for. Notes of ripe, jammy raspberry, bold cherry and blueberry doused in pepper and spice that never lets up. It’s a full attack of red fruit, blended spices, firm tannins and the kind of structure that makes this the perfect wine for man-gatherings where big, juicy steaks are served hot off the grill. Project Paso Cabernet Sauvignon 2010, Paso Robles ($18, 89 points) — From Don Sabastiani & Sons, this is a robust red with notes of kirsch, blackberry and cassis fruit with vanilla oak, spice, tobacco leaf and meaty-earthy accents. It’s a young wine on the palate with evolving and ripe fruits, spice, good structure and plush tannins. It shows some earthy notes, but the fruit remains the star. Try with a steak sandwich with grilled onions and peppers. Plume Cabernet Sauvignon Napa Valley 2010, California ($30, 91 points) — This is only the second vintage of this well-priced, well-made Napa Cab that is a joint venture of the Zepponi Family from Napa and the Stewart family from the Okanagan Valley. It starts with a big, bold nose of extracted black cherry, bramble bush, blackberries, plums, raspberry and sweet oak spices. It’s wonderful on the palate with ripe fruits of cherry and cassis with lovely notes of road tar, eucalypt and licorice to go with a vibrant core of acidity and soft tannins. Fantastic value from Napa. Hardys HRB D648 Chardonnay 2009, Australia ($30, 91 points) — The HRB (Heritage Reserve Bin) premium series from Hardys represents the art of blending different terroirs, in this case Chard from Pemberton and Adelaide Hills. It is a remarkable wine with a nose that shows citrus and summer peach with subtle toasted vanilla, brioche and light spice notes. It is purely elegant on the palate with lemon-citrus-peach flavours, a racy vein of acidity, deft oak spice and length through the finish. Serve with lobster or chicken with tarragon and sweet potato. Hardys HRB D641 Shiraz 2007 ($36, 92 points) — A blend of McLaren Vale and Clare Valley fruit, this is a finely-toned and complex Shiraz with bold aromatics of smoky blackberry, blueberry, kirsch, licorice, eucalypt and cracked peppercorns. The juicy black fruits on the palate are joined by tar, licorice, sweet oak spice, mint and pepper notes that are carried on a bed of fine tannins through a long finish. Did someone say lamb? Penfolds Thomas Hyland Shiraz 2010, Adelaide, Australia ($20, 90 points) — A perennial go-to Aussie Shiraz that shows deep, dark colour in the glass and a bright and energetic nose of wild raspberry, black pepper, currants and savoury spices. It’s firm and full-bodied on the palate with emerging black fruits, cracked peppercorns and bold spices that build through the finish. Just add red meat. Penfolds Konnunga Hill Chardonnay 2011, South Australia ($15, 87 points) — Peach, pear, melon and subtle notes of spice, cream and butterscotch on the nose. It’s followed by juicy citrus, oak undertones and good vibrancy through the clean finish. Penfolds Koonunga Hill Shiraz Cabernet 2010, South Australia ($17, 88 points) — A peppery, black cherry-blackberry nose that showcases bold red fruits over top of the light oak vanilla and spices. It shows plush tannins, good varietal fruits, tar, leather, currants and spice. A nice, solid red. Pewsey Vale Eden Valley Riesling 2011, Eden Valley, Australia ($20, 91 points) — Gorgeously dry and austere Riesling with sharp lemon-lime, talc, crushed stone, grapefruit, white flowers and green apple notes on the nose. It’s refreshing on the palate with bold citrus fruit, a razor sharp vein of acidity, minerals and persistence through the long finish. Can age this for five years. Jim Barry The Lodge Hill Dry Riesling 2011, Clare Valley, Australia ($20, 91 points) — Made from Riesling harvested in the highest (480 meters) vineyard in the Clare Valley. The nose shows succulent grapefruit, peach, fresh minerals and subtle notes of mango and other tropical fruits. It’s made in a bone-dry style but is nicely balanced by ripe citrus, apple and peach notes that are lifted by firm acidity through the finish. Hold for five years or more. Wolf Blass Yellow Label Sauvignon Blanc 2012, South Australia ($15, 88 points) — Another fine summer white with gooseberry, grass, herbs and tropical notes on the nose. It’s fresh and delicious on the palate with ripe and tart citrus fruit and subtle tropical notes. Fifth Leg Semillon Sauvignon Blanc 2011, Western Australia ($16, 88 points) — The 53% Semillon in this blend adds a bit of roundness and texture. It’s zesty and fresh on the nose with citrus-lime, passion fruit and light herbs. It’s racy on the palate with vibrant gooseberry and lime flavours lifted by firm acidity. Lindeman’s Bin 95 Sauvignon Blanc 2012, South Eastern Australia ($11, 86 points) — A simple wine, for sure, but still a well-made quaffer that’s loaded with grapefruit, gooseberry and a lick of grass and herbs. It’s crisp, citrus-laden and fresh on the palate. Spring sipping at its best. Lindeman’s Bin 85 Pinot Grigio 2012, South Eastern Australia ($11, 87 points) — Notes of soft apple, pear and sweet citrus on the nose. It’s a fruity, slightly sweet Grigio with plenty of acid to balance it all out. Lindeman’s Bin 99 Pinot Noir 2012, South Eastern Australia ($12, 87 points) — Another consumer friendly offering from Lindeman’s. The nose shows cherry-blueberry fruits on the nose with kirsch, spice and vanilla toast notes. A great porch-sipper with a basket of red fruits on the palate and added plums and savoury notes. 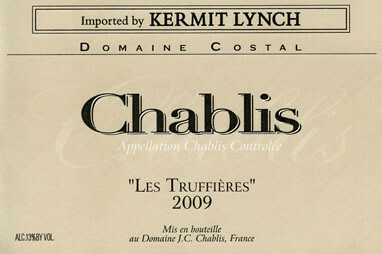 Domaine Costal Chablis “Les Truffières” 2010, Chablis ($38, 92 points) — This is classic, old-school Chablis made in collaboration between Bernard Raveneau and Kermit Lynch from a single vineyard using organic Chardonnay. Such an inviting and interesting nose of lemon-citrus, oyster shells, wet stone, apple, forest foliage and just the tiniest whiff of biscuit. It is enthralling as it builds on the palate and the subtleties start emerging — chalky minerality, lemon-citrus, foraged mushrooms, nuts and green apple notes. It has the depth and acidity to evolve and deliver pleasure for many years even if it is, afterall, a village Chablis. 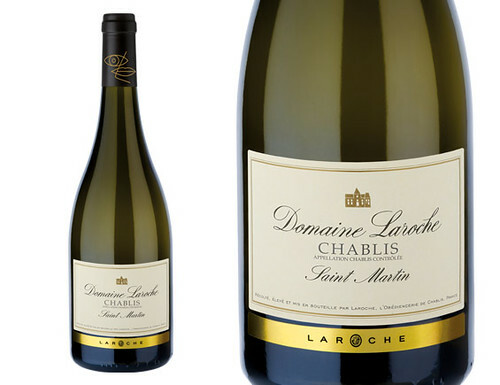 Domaine Laroche Chablis Saint Martin 2011, Burgundy ($22, 89 points) — White flowers, white peach, fresh rousing minerality and lovely hints of lime and citrus are the opening notes. This is a lovely organically-farmed Chablis at an attractive price with a racy-steely backbone, grapefruit-peach fruits and stony minerality that builds through the finish. Pair with seafood and salads. Joseph Drouhin Chablis Vaudon 2010, Burgundy ($20, 88 points) — Another smartly-priced, organic Chablis that over delivers. This shows the beauty of the classic 2010 vintage with pure lemon, grapefruit and focused flinty minerality. Quite fresh and vibrant on the palate and soaked in juicy citrus goodness that makes you want one sip after another. Bring on the oysters or pair with poached salmon. Dopff and Irion Pinot Gris Grand Cru Vorbourg 2009, Alsace ($18, 90 points) — This Grand Cru Gris offers up pretty good value with lovely honey-peach, apricot, nutmeg spice, white flowers, hazelnuts, and beeswax on the nose. It’s quite thick and rich on the palate with bold marzipan, honeycomb, ginger and nutmeg in an off-dry style that will age beautifully for five or more years. Can pair with white fish, duck poutine or even chicken in light sauces. Delish! Pierre Amadieu Romane Machotte Gigondas 2010, Rhone ($24, 91 points) — This blend of Grenache and Syrah is attractive for its blueberry and plum nose that brings in Christmas cake, mocha, cinnamon and licorice. It’s bright and fresh on the palate with currants, roasted coffee bean, black licorice, anise and bits of earth, fennel seed, roasted herbs and cedar notes that are persistent through the finish. Yum! 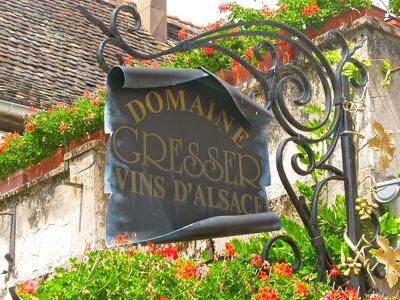 Domaine Gresser Duttenberg Riesling 2009, Alsace ($26, 91 points) — A thrilling Riesling made in an austere style with a nose of grapefruit, orange blossom, fleshy peach, quince, marmalade, minerals and green apples. The palate reveals lemon-citrus, ginger, persistent and rich peach-apple flavours, swirling minerality and nervy tension driven by a racy vein of acidity. Interesting and personable Alsace Riesling. Gerard Bertrand Art de Vivre Cabernet Sauvignon 2010, Vin De Pays D’oc ($12, 87 points) — You won’t find many French Cabernets at this price point and Gerard Bertrand does a nice job in presenting a bargain wine that fights above its weight class. Look for bold raspberry, blackberry and violets with light spice on the nose. It’s smooth and fruity on the palate with just a lick of oak spice and a fair amount of acidity. Galevan “Paroles de Femme” Cotes du Rhone 2010 ($13, 88 points) — Made from organically grown Grenache, Mourvedre and Cinsault, this lovely and affordable Cotes du Rhone red has a pretty nose of crushed red berries, forest floor, eucalypt, herbs and lovely licorice and anise notes. 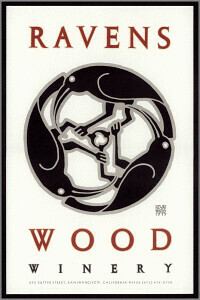 It has quite a mouthful of juicy and fresh red fruits with tobacco, licorice and tar accents. A smooth and delicious Rhone red. Studert-Prum Wehlener Sonnenuhr Riesling Kabinett 2008, Mosel, Germany ($25, 88 points) — This Riesling has quite an interesting steely nose of , lanolin and white pepper with citrus, pear and nectarine chiming in. The fruit is fairly ripe on the palate with moderate sweetness, citrus, peach and apricot fruits with added mineral notes that are all lifted by tangy acidity. Would like to taste this in five years when the petrol notes emerge. Reichsrat von Buhl Forster Jesuitengarten Riesling Spatlese 2009, Pfalz, Germany ($25, 92 points) — A floral nose that is joined by summer peach, crushed stone, honeycomb and spiced apple pie. It’s a touch creamy on the palate with notes of fennel and ginger mingling with quince and mature peaches. Really interesting medium-sweet Riesling here. Could cellar for 10 or more years. Maipe Reserve Malbec 2010, Mendoza, Argentina ($18, 90 points) — A gorgeous Malbec made from 38-year-old vines with a nose of blackberry, black currants, violets, plums, exotic spices and toasty oak vanilla. An interesting wine in the mouth, with fully integrated dark and red fruits that are bold and expressive on the palate and lifted by bright acidity. Don Miguel Gascon Malbec 2010, Mendoza, Argentina ($14, 88 points) — Classic Malbec at a great price with an earthy-brambly nose to go with ripe blackberry, red fruits, blueberry and an array of supporting spices. Like all good Malbecs, it’s soft, warm and inviting on the palate with broad flavours, soft tannins and bold fruits that linger on the finish. Comfort wine. Matua Sauvignon Blanc 2012, Marlborough, New Zealand ($16, 88 points) — Typically New Zealand SB with a nose of grapefruit, grass and a basket of fresh garden herbs. It’s fresh and crisp on the palate with lively citrus fruit, herbs and touches of guava and mango all spread across a beam of racy acidity. 900 Grapes Sauvignon Blanc 2012, Marlborough, New Zealand ($18, 90 points) — So named because it takes about 900 grapes to make a bottle of this wine. It’s a wonderful SB that shows sweet summer grass, herbs, grapefruit-lime and tropical fruits. The lively and fresh fruits are carried on a firm spine of acidity on the palate that lead to a long finish. Summer sipping at its best. Thanks for the update, Rick. I’m going to pass this on.